Editor’s Note: Dor Dotson is a Brooklyn-based social media strategist with over a decade of experience in entertainment market research and a speciality in small businesses and independent film. She’s also a movie fanatic and film festival lover, having attended every Sundance since 2000. 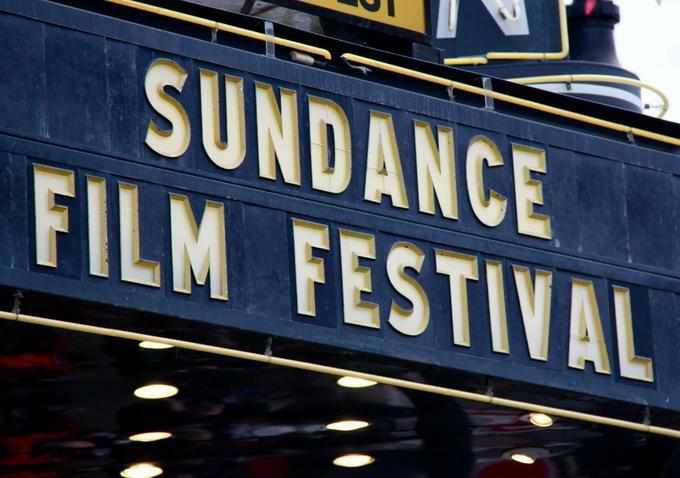 As a couple hundred lucky Sundance-bound teams of filmmakers all over the world prepare for one of the most important weeks in the life of their project, many are thinking about if and how their film will be received and represented in the digital space. It’s not easy, but it’s important stuff, and since it’s something that uses your resources during a time where you don’t have a lot to spare, you’ll want to make sure every bit of effort you’re expending actually sees returns. Here are ten tips for maximizing the effectiveness of your online presence. Have you ever gotten an invitation to like a Facebook page, only to find out there was nothing on it besides a short description and a photo or two? Maybe you give it a pity “like” because you care about the people involved. But I bet you were not too excited about it, and probably not compelled to share it with your network – there’s nothing even on there! Don’t be that page. Have plenty of content up there before it’s time for your close-up. That way, everyone who finds your page (ahem…distributors, programmers, potential audience members) will clearly see that you understand the importance of audience-building, and that you’ve committed resources to doing just that. “Miss Sharon Jones!” had its world premiere at TIFF 2015 to wide acclaim, and they did maintain a steady stream of updates from their time in Toronto, but they also smartly amassed over 50 tweets before the festival began. This meant programmers, press and audience members tweeting about the film in anticipation could tag the official account, increasing the doc’s follower base and encouraging even more people to talk about the documentary. You don’t need months of content (though it can’t hurt). If you’re running out of time, you can still get it going. Post any number of things – now! Your trailer, some stills, a selfie of the look on your face when you learned your film was accepted, a link to your ticketing page, some “most anticipated” lists your film appears on – the possibilities are literally endless. One cool approach is the one that “People Places Things” took leading up to their Sundance 2015 premiere. To keep their Facebook followers interested, they curated a variety of links that related to their film’s theme – fatherhood. When you’re in Park City, you may feel like the entire free world (or anyone who matters) is inside that festival bubble with you. In reality, much of your follower base is playing along from home. At the same time, it is still advisable to post some stuff that’s only relevant to those onsite – ticket on-sale announcements, the screening schedule, a reminder to vote for the audience award, etc. “Krisha” did just that during SXSW. They were wise to communicate this in an image, with some color. Attaching images to your post is a proven way to increase engagement. Now take a look at the “Finders Keepers” update from Sundance 2015. They had information to communicate as well – details that weren’t super-relevant to anyone who was not in Park City, but they did it in a way that could bring a smile to the face of anyone who might otherwise have been in a FOMO funk. Yes, your social media at festivals is a great tool for getting the word out about how awesome you and your movie are. But if self-promotion doesn’t come naturally to you, or you just want to take a break from being the center of attention, do it. You’ll be meeting new people and hopefully taking in films by your contemporaries. Why not share this experience with your followers? Tweet about the other stuff you’re seeing (or just wish you had the time to see). Give shout-outs to the films and their creators. You’ll feel good about it, and with any luck, they will return the favor. Got friends or colleagues who are famous – or just Instagram Famous? Round up the people who worked with you on this film, as well as any other folks you know or have worked with who have a following and might do you this kindness. Encourage them to spread the word. They don’t even have to be at the festival with you – they can help build buzz from afar. If you want to make things even easier, you can give them clear instructions about accounts to tag or hashtags to use. Depending on the person, they might even appreciate being given a few examples of the best and most comprehensive tweets or updates to pass along to their network. This type of support is contagious, so once a few people do this, you’ll suddenly find a chorus of supporters doing the same. Tag the writer, outlet and any other relevant parties. Take care not to post a bunch of these in a row, of course – spread them out. Most importantly, try to say something clever about the piece. Take a look at this “Cop Car” tweet from the lead-up to their Sundance 2015 premiere. Instead of just sharing a link, they got creative. This is smart for many reasons. First, it’s funny and shows the personality of the account. Second, it offers an authentic compliment to the writer, increasing the chance they will retweet the message. It’s so fun to watch as the outpouring of social media love comes in following your premiere. You might be tempted to enthusiastically repost each and every kind word uttered about your film online – and understandably so, but your followers probably don’t want their feed totally hijacked by posts from you, and you don’t want to alienate them. So, simply apply a bit of strategy to what you repost. Really want to share every single mention? Fine — just leave several minutes in between each share. Or perhaps even more wisely, acknowledge every mention with a thank you or a like, but only repost the mentions you like the best. The funniest, most unique, most “on brand,” etc. Your cover photo is prime real estate. It’s the first (and maybe only) thing visitors to your FB and Twitter pages will see. Refresh that sucker regularly, to reflect what’s going on now. Put your festival screening times. Update it with accolades. This accomplishes many goals: First off, just the act of updating it will get more eyeballs on the page, especially on Facebook. Secondly, keeping it updated with the latest info will ensure that everyone checking out your page will see the latest news front and center, even before they scroll down to read individual posts. Many of your followers will eventually find you on their own, once the compelling content that you post is shared by other users. But in the beginning, relying solely on this growth strategy may prove too slow for films without A-list casts and a sizable marketing budget. It’s not ideal for personal accounts, but for your film’s account on Instagram and Twitter, go ahead and follow lots of people. Get some solid content posted first, and then dive in. Think about what you want to accomplish on social media. Sell out your premiere? Build buzz? Raise awareness amongst influencers? Determine your target audience that’ll help you reach those objectives. Think about what those people might be tweeting about or using as Instagram hashtags. Plug those into the search box, and follow away. Don’t do it all in one sitting though, since Instagram will cut you off if you seem like a spammer, and Twitter will cap you at 5,000. Reply to or otherwise acknowledge pretty much everyone who mentions your film. It’s a nice thing to do! And beyond that, it can actually build even more loyalty and turn the person into a long-term advocate for your film. Plus, when other potential audience members see you interacting with (and sharing the posts of) your followers, it may motivate them to see and talk about the film, generating even more buzz during this critical time. Careful, though. No matter how tempted you may be (or how impaired your judgment may be after just one drink in the high altitude), I’d advise against engaging with those who post controversial or unfavorable tweets. Social media is typically a marathon, not a sprint. But when you’re at a film festival, it’s kind of both. A consistent and strategic presence across multiple channels can help you build an audience that will stick around long after your festival premiere. And depending on the size of your team, cultivating that degree of consistency can be a lot for one person to handle. What’s more, even if you’re a social media superstar, your time may be better spent focusing on any number of other activities. To avoid some of these competing priorities, you’ve got lots of options. One common approach is to have different people on your team take over your film’s feed each day. That has the added bonus of a bit of variety, too. Or, think about sharing the responsibility with someone at home who can log in and take over while you focus on more pressing matters. Another option is to hire an experienced professional like me, who’s already on site and has affordable packages for festival coverage. Above all, be kind, humble, consistent and entertaining. Have fun!